When someone becomes involved in drugs or alcohol and begins to engage in addictive behaviors, they may not realize that they are developing a serious disease. Addiction is a disease that is life-threatening and as drug use escalates the individual becomes closer to a possibly fatal outcome if they don’t get help. That is why drug rehab programs like the one we offer at the Gooden Center are truly saving people’s lives every day. Once an individual suffering from addiction is able to acknowledge that they have a problem, they must choose a comprehensive rehab program with a long-term approach to treatment. The Gooden Center offers affordable and effective treatment that will provide each patient with the skills that they need to remain sober and live a healthy lifestyle. With a variety of different services including family support, aftercare programs and personalized treatment, patients have the ability to change and grow in ways that will keep them committed to sobriety. Where Can I Get Help with Drug Addiction? Addiction is something that many people try to quit on their own terms but they quickly realize how difficult of a task it is to accomplish without a support system and a team of people providing treatment. Rehab programs at the Gooden Center can help you with your addiction no matter what your circumstances are or what type of problems you are dealing with. Getting help for drug addiction starts with admitting that you have a problem and this can be one of the hardest steps. Once you recognize that you need help you can reach out to your loved ones and work together to find the best solution to your addiction. Detoxification and treatment in a rehab center are the best ways to achieve recovery because they offer people with addictions the opportunity to understand why they became addicted and work on better coping mechanisms to keep them stable. There are often mental health issues underlying addiction and a rehab center will be able to address these issues through professional evaluation and treatment. Getting help with addiction means using the services of a treatment center to your advantage and relying on them for guidance. 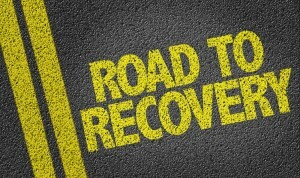 The initial phase of recovery begins with choosing a rehab program and finding the right kind of treatment option that will work best for you as far as achieving long term sobriety. There are different types of treatments depending on the severity of a person’s addiction and how much time they can take out of their schedule to focus on recovery. It is recommended that people with more serious addictions stay in residential treatment so that they can benefit from living in an environment that will keep them sober and help them change their behavior at every level. Residential treatment includes a very organized schedule filled with daily tasks that can keep you on track and always learning with a group of peers. For those with less severe addictions, you can choose outpatient treatment to get help for your addiction while still being able to live at home, work and care for your family. Each person entering a drug rehabilitation program needs to determine what type of treatment will work best for them before they can begin their recovery efforts. An assessment provided by medical staff can help patients determine whether residential treatment is necessary or if they can choose outpatient in order to meet important responsibilities. For most patients entering rehab, the first step before starting their full treatment is to rid their body of the toxins and chemicals that are keeping them dependent on drugs or alcohol. The process of detoxification should take place in a safe environment filled with trained medical staff that can monitor each patient’s progress as they go through withdrawal. Detox centers are a crucial part of recovery because they give addicts the chance to start over and begin their journey to sobriety without worrying about the kind of physical dependency that can make it so difficult to abstain from substance abuse on your own. Detoxification means being completely clean and free from any substances for a period of time so that your body can cleanse itself and eliminate drugs from the bloodstream. Most rehab programs require that you complete detox first so that you can start your recovery treatment with a clean slate and no issues with dependency. Detox is a very difficult experience for many people and can include some painful withdrawal symptoms which is why a licensed detox center is so important. Withdrawal symptoms can vary with each individual depending on what type of drugs they were abusing and how often they used. In a detox center, you will not have to worry about withdrawal symptoms becoming too intense or dangerous to your health because medical personnel are available at all times to make sure you are comfortable and in good physical condition throughout the process. At the end of detox, patients will feel much more prepared to handle their mental addiction drugs because they have gotten rid of their physical addiction. Once you make it through detox, the next step will be to enter your drug rehabilitation program. If you have chosen residential treatment then you will be moving into the facility and getting adjusted to your new environment. Residential treatment at the Gooden Center is a place where you will be engaged and involved in activities throughout the day. Patients in treatment have very organized schedules so that they are always busy and involved in some type of therapeutic program each hour of the day. Patients have education groups, twelve step meetings, individual and group therapy as well as holistic treatment activities such as meditation, nutrition and exercise. In residential treatment, patients have all the support they need throughout the day to deal with any issues that are holding them back from recovery. Every day in treatment is an opportunity to learn more about their own addiction and understand the causes, symptoms and solutions for their addictive behaviors. Drug rehab programs are a place to begin the process of learning how to be sober with the help of professionals and peers that are there as a support system. Eventually the skills that patients learn in rehab will be used in their own daily life so that they understand how to manage their time and daily stress without turning to drugs as an escape. When people with long term addictions first enter rehab, they may have reservations about treatment and wonder if the program will work for them. They may want to be convinced with concrete proof that rehab will help them quit because they feel afraid to fail. Rehab is a different experience for everyone and some people may find it more difficult than others but the important thing is for patients to be completely committed to their program. Your treatment team will provide you with all the necessary skills and support that will allow you to become permanently sober. However, in the end it is up to you to follow the rules, stay focused and open to learning and to put in the hard work that goes along with recovery. Each patient is given the opportunity to start over and change their behavior but they must be devoted to their recovery program in order to see the results that they want. Recovery is not only about commitment, it is also about learning to rely on other people and become part of a sober community. What can often lead to addictive behavior and even relapse is the tendency to let yourself be isolated and try to deal with problems alone. In recovery, patients learn how to reach out to the people around them for support so that they can get through tough times without falling back into old habits. Opening up communication about personal issues with peers in recovery, friends, family members and mentors can all help ease daily stress and make life more manageable. Patients with issues of depression and anxiety that accompany their addiction will find that having a support system reduces many of their symptoms and takes some of the weight off of their shoulders. Drug rehab facility include group therapy sessions and twelve step meetings as a way to foster a sense of community that will act as an important foundation of sobriety. Because much of rehab is about opening up communication and building a support system, it can be helpful for family to be involved throughout recovery. Relationships between loved ones can be strained after years of substance abuse because addiction can cause you to act selfishly and sometimes hurt the people around you. Family therapy can help relieve some tension and improve communication so that loved ones are able to forgive you for past wrongs and begin to trust you again. It is also important for family members to be included in treatment because they will need to learn everything they can about addiction and what they can do to help you stay sober. Family counselors are specially trained to deal with the sometimes complicated dynamics that can occur in family relationships. They can help facilitate ways for family members to bond and come together to help the patient in recovery. A significant part of education and therapy in rehab focuses on preventing relapse because it is a serious concern for anyone that has an addiction. Even after months of hard work in recovery, there is still the possibility of relapse no matter what the circumstances may be. Patients will be educated in developing coping skills that will keep them from turning to substance abuse as a solution for any problems that come up. They will learn how to identify what their triggers are such as situations, places, people or certain feelings that make them want to engage in substance use. They can then figure out the best ways to handle these triggers such as calling a friend, meditating, going to a meeting, exercising or anything that will help them relieve stress and take their mind off of cravings. Even people who have been sober for a long time need to be careful and continue to take steps to prevent relapse. A key element in living sober and preventing relapse is for patients to have plenty of support and resources available even after they leave the treatment center. The Gooden Center, like many rehab facilities offers options for aftercare treatments so that patients can have access to the help they need in order to get through the first few months of living on their own outside the facility. The transition from rehab into daily life can be very difficult because you will have to deal with real everyday triggers that can test your strength and commitment to being sober. Patients who stay in continuing care tend to fare better in the long run than those who don’t attend some type of aftercare program. Group counseling and meetings can be the best ways to stay involved in relapse prevention after moving back home. Before entering rehab, people struggling with addiction may feel afraid and uncertain about their future. Once they complete rehab patients will feel healthier, happier, more fulfilled and empowered by what they have accomplished. Rehab helps addicts by giving them a better understanding of their own disease and what they can do to manage the symptoms. Therapy and group meetings are educational opportunities where patients begin to realize what their addiction has done to them and how they can change their path to something more positive. Patients in rehab develop beneficial qualities like self-awareness, empathy, honesty, compassion, and responsibility. At the Gooden Center we help people transform from the inside out so that they become the best version of themselves. Our program not only saves lives, it allows people to lead more satisfying and meaningful lives as they learn to be sober.